Hello and good morning guys, welcome back to my website. 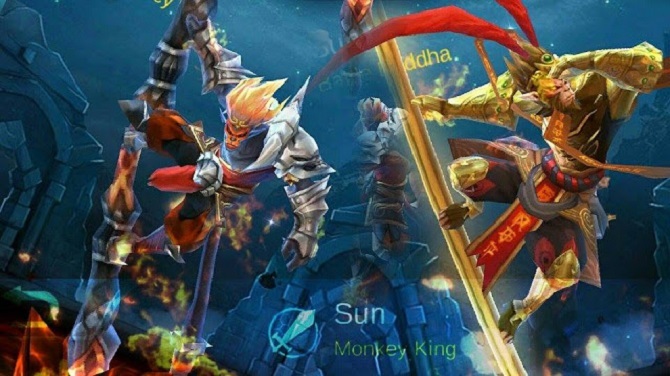 Today I want to share with you about the importance of team working skills to counter Sun the Monkey King in Mobile Legends. Well, if you are an old Mobile Legends player you must be familiar with this hero. Yeap, this hero is inspired by Sun Wu Kong in Chinese legend. Well, let’s talk about why team working skills can be used to counter Sun the Monkey King. There are so many people who say that Sun is way too powerful than the other hero. They say Sun is too overpowered because he can multiply himself to a few same things with a same ability and power. Well, it’s not Sun that’s way too powerful, it’s us who let him farm and get his item that’s why today I want to share a few Mobile Legends tips to counter Sun. So, your dream to win isn’t just a dream again and you also can put shame on his face. Sun is a strong hero that count so much on his illusion. This hero has a special ability that allows him to multiply up to 4 illusion to help him fight his enemies. However, if you think Sun is a hero for a newbie you are totally wrong. Why? It’s because Sun need a lot of farming and that waste so much time if you can’t make your farm more efficient. That’s why for people who want to play fast game Sun never picked. To defeat Sun the Monkey King, we need a great teamwork skill. Like always scouting him and disturb his farm. Well, you can ask one of your team to pick Natalie so you can always scout over him. You also need to speed up your farm and do a lot of Ganking. Don’t forget to pick heroes that can give burst area of damage skills like Aurora, and Miya. You also can pick Minotaur as you initiator and tanker role hero. Estes the Elf King also can be a proper healer for your team, just make sure that your team not splitting up and giving a chance for Sun to kill one of your team. Increase your chance to win with your team against Sun with a proper line up like I said. 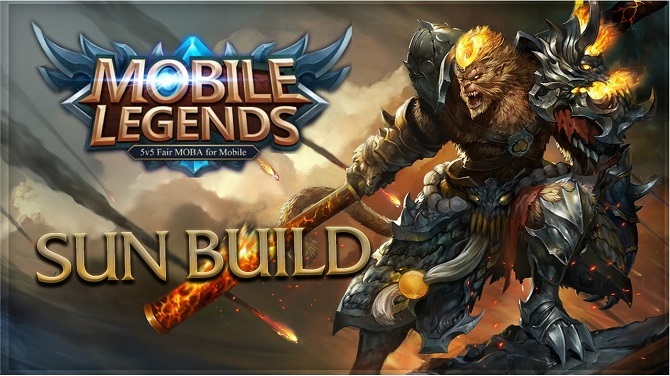 Don’t forget to do some Mobile Legends tricks like using bush to ambush your enemies, bait them by asking your support walking alone while you are waiting in the bush, you also can do risky trick like letting your hero has a low health point and when your enemies come closer and try to chase you, ask your team to ambush them. Well, doing a few dirty tricks is allowed in this game as long as you are not breaking the rules with using cheats. Thanks for coming to my website and read my article about team working skills to fight Sun the Monkey King. I hope my article today can help you to win your game and if you think my article is useful enough for you, don’t forget to share my article to help the other people to win their game. See you soon in my next article and have a nice day.